WA Beer Week offers an opportunity for the state's beer community to come together and celebrate what it does and also entice newcomers to explore their venues and their beers. In recent years, it's also become an occasion for which brewers create a vast number of collaboration beers. As in 2015, Guy Southern has spoken to many of the brewers involved – as well as their collaborators. And it's a list of collaborators that spreads its tentacles far outside the craft beer community, taking in distillers, venues, chefs, coffee roasters, bottleshops and more. This limited release collaboration easily wins the title of "Most collaborators for one beer" in 2016. Luckily, all of the contributors bring what they do best to this wax-dipped, opulent beer. Mane Liquor’s Josh Daley and Elliot Moore wanted to create something big and bold to follow last year’s successful Black and Tannin collaboration with Eagle Bay Brewing and artist Kyle Hughes-Odgers. The expertise of Twin Peaks Coffee team saw a blend of coffee beans sourced from the Mogiana region in Brazil used to compliment the imperial porter base and whiskey barrel characters. Josh sees this level of collaboration as reflection on the development of beer in Western Australia. “It's growing all the time and styles like this one are only pushing those boundaries further. It's great opening up these big and ballsy styles to people who would not normally pick up something like this. Forrest from the Trees is available from Mane Liquor, Eagle Bay Brewing Co. and at the Fremantle BeerFest. Alè from Cellarbrations Superstore and Mal from The Monk sampling their WA collab brewed with Artisan Brewing. Putting a modern twist on a classic Belgian style was the perfect vehicle when two Fremantle collaborators drove to Denmark on the state's Great Southern Region for this brew. Alè Alberti from Cellarbrations Superstore, Hamilton Hill, said that “brewing with Brian Fitzgerald from Artisan, it was only natural that we brewed a Belgian style with a Belgian brewing genius. We wanted to stay as true to the style as possible, which reflects the traditional brewing techniques of Brian and also Mal Secourable from The Monk in Fremantle. “We were inspired by classics such as Westmalle Tripel and, a personal favourite of mine, Tripel Karmeliet, and also modern interpretations of the style such as Garage Projects Touch Wood,” Alè adds. The Cellarbrations Superstore team added a modern craft brewing twist by adding home grown mangoes and raspberries to the beer during the fermentation process. Somewhat fittingly, this reverential style will be the first bottle release for The Monk in its near 10 year history. Alè also sees this style collaboration gathering momentum. Tripel Treating, a Belgian in Mango Land, is released on Tuesday, November 15, at The Monk, Fremantle. It will also be pouring at the Fremantle BeerFest and bottles will be available from the Cellarbrations Superstore, Hamilton Hill. The Cellarbrations Superstore team hit the Swan Valley for this collaborative brew with Mash Brewing, creating a beer that’s the result of experimenting with different ingredients and styles to create a peat smoked beer. “The original version (Harvester) was a favourite of Mash head brewer Charlie Hodgson few years back but he has never had the opportunity to re-brew it," says Alè. "After throwing some ideas about, the beer we wanted to brew was quite similar to a Mash classic of some years ago with a slight (Cellarbrations) Crafty Corner twist added to it. “It has a significant amount of peated malt, which gives you a massive nose full of camp fire smoke and a palate that’s very similar. The Crafty Harvester will be available at all Mash venues, on tap at The Crafty Corner at Cellarbrations Superstore, Hamilton Hill and pouring at the Fremantle BeerFest. Technically, this is three beers. However, the concept is tied to a single beer event: the annual WA Beer Week Brew through the Ages. An eclectic range of WA brewers are divided by age in a showdown that sees the young pups head north to craft a contemporary classic with Jackson Purser at the Indian Ocean, the over 30s brew at Bootleg Brewing, Margaret River, and the Legends, including Roger Bussell, Hugh Dunn and Ken Arrowsmith, channel years of brewing wisdom at Billabong Brewing. While all camps are tight lipped about what they have brewed, history shows that the Legends, despite having more than 100 years combined brewing experience, are yet to win the competition. In an interesting twist of fate, Otherside head brewer Rhys Lopez turns 30 between the brew dates and the Brew through the Ages event, ruling him out of the teams. Turning the tables on this situation, Rhys will be the host for the event, allowing him free reign to stir without bias. Brew through the Ages III beers will be available at The Dutch Trading Co on November 16 for the night of the event. Tickets can be bought through the WA Beer Week site. The DTC's Joel Beresford wondering why he created so many collabs. And the wax-dipped Forest for the Trees bottles. The 2016 "Overachievers in beer collaboration" award goes to The Dutch Trading Co, with six collaboration beers on offer during WA Beer Week. 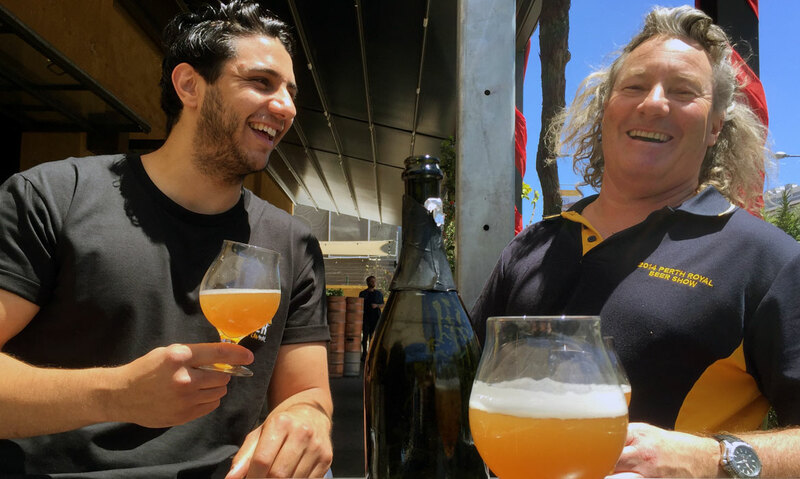 Over the last two months, part owner Joel Beresford has crisscrossed the state and the country to be able to showcase an exclusive range of beer at the Victoria Park venue during WA Beer Week and on The DTC stand at Fremantle BeerFest. With so many collaborators it’s easier to run through the basics. All six beers will be pouring at The Dutch Trading Co during WA Beer Week and from the venue's stand at the Fremantle BeerFest. You can still join The Crafty Pint when we hold the first bar shout for supporters at The DTC on November 19 – details here. And there are still a few spots left for the IPA Blind Tasting we're holding there earlier in the day, with a $25 discount for Crafty Cabal members. And Cabal members can join us for an exclusive pre-opening tour & tasting at Feral and Nail's new brewery on November 18. For WA Beer Week, Josh Edmeades and Amos Polglaze from Petition Beer Corner stretched their inner city legs all the way to Perth’s Northern Beaches and, with a little sand between their toes, turned the idea of a classic beer from San Diego brewery Ballast Point into One Collab, Five Ways. While Ballast Point Sculpin is famous for variations that include Grapefruit, Pineapple and Habanero Chilli, the collaborators wanted to stay away from these flavours. There is no other information about these beers. Instead the collaborators want the drinker to make their own mind up without any bias in the official WA Beer Week hub of Petition Beer Corner. One Collab, Five Ways will be available on November 11 at Petition Beer Corner until the kegs are drained. Boss Taurus returns for a second year and, given last year’s release was chosen by the WA Crafty Pint panel as one of the top 10 WA beers for 2015, expectations are high. Adam Lesk, from Cellarbrations Carlisle, is really pleased with the 2016 development in barrel. The draught release with be at the Cellarbrations Carlisle Meat the Brewer event for WA Beer Week, with bottles available from Cellarbrations Carlisle too. For its next Single Batch Series release, the Fremantle Little Creatures team worked with local hospitality venues and supporters from the postcode that has supported the harbour side brewery for the past 16 years. The resulting postcode inspired beer contains six malts, one yeast, six hop additions and zero preservatives, combining to create 6160 Fremantle. Like a numerical step up from Van Halen’s 5150, this beer promises to balance "a good time with expert craftsmanship". Uncontained Lager will be launched at Little Creatures Fremantle, at 5pm on November 10, and will pouring at the Fremantle BeerFest and from venues in Fremantle 6160. 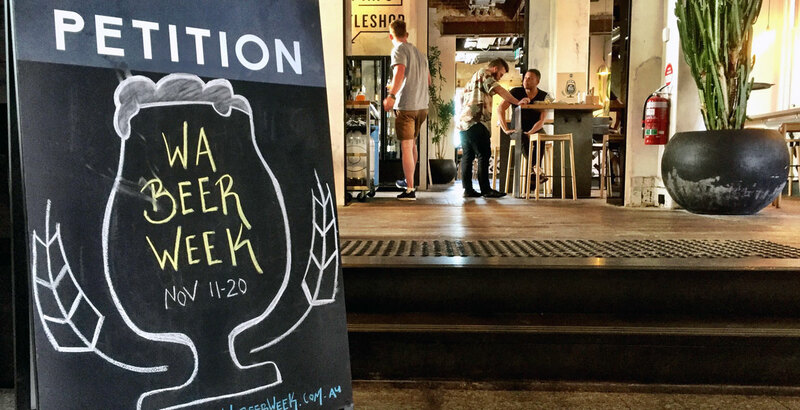 WA Beer Week runs from November 11 to 20, 2016. Fremantle BeerFest runs from November 11 to 13, 2016. About the author: Guy drinks and writes about beer, goes for a run most mornings and makes his own chilli hot sauce. Find more on Goodtimes Craft Beer via FacebookInstagram.